Historically, it's about that time of year when the tropics start heating up. It doesn't look like this year will be any different. There are currently two areas being watched across the Atlantic. The first is Invest 92 which is slowly drifting west-north-west across the western Caribbean. It has showed signs of trying to organize as some pretty deep convection has blown up around the center. The National Hurricane Center is currently giving it a 60% chance of developing into a tropical cyclone over the next 48 hours. Its biggest immediate issue for development will be when it runs across the Yucatan peninsula. After that, forecast models are struggling with how strong this system will become over the Gulf of Mexico. It probably won't be until what's left of the wave crosses the Yucatan before there's better agreement. 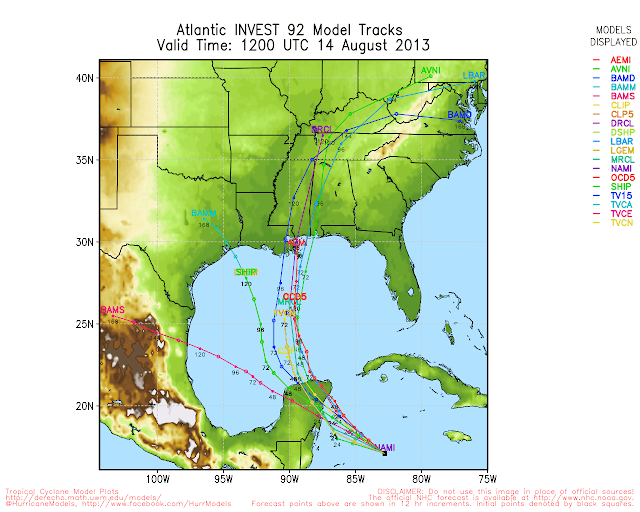 Here's a look at some of the tropical plots and where they take Invest 92. Regardless of how strong this ends up getting, the biggest concern for our area will of course be the rain. JR mentioned several weeks ago about how severe flooding could be across many areas of the MA/SE if we got a slow moving tropical system to track across the area. Several of these tracks are showing the potential for a lot of Gulf moisture to eventually run up into the Mid-Atlantic. This is definitely not needed after many areas are well above average precipitation wise for the Summer. This will need to be watched down the road. 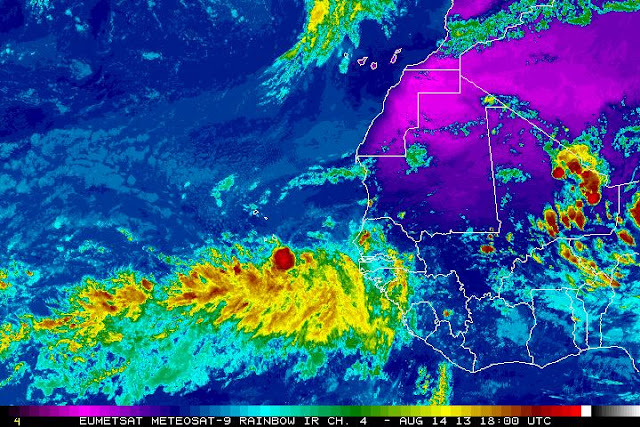 The second area of interest is invest 93 coming off the coast of Africa. It too has showed signs of organization. The National Hurricane Center is currently giving it a 70 % chance to develop into a tropical cyclone over the next 48 hours. Still lots of disagreement with where invest 93 goes as well. A lot of this will depend on how quick it strengthens and where the Bermuda high sets up. Once again, it's hard for models to get a good handle on these systems before the actual low pressure center can be found. 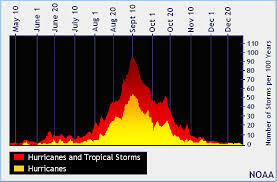 Looking at where tropical systems have formed between August 11-20 from 1851 to 2009, both systems are in climatologically favored areas for development. Looking beyond these two systems, it looks like a train of waves will continue to come off the African coast over the next few weeks. Hurricane season is really going to start heating up.